Our 1920’s bungalow has a stand-alone garage that is on the small side but still fits one vehicle. We’ve got a standard white garage door with a Genie opener, nothing fancy but it does the job. The opener is a bit quirky and we’ve been coveting all of the new tech that has arrived around the garage door. Specifically Wi-Fi openers. We open our garage door multiple times on a daily basis and we sometimes hit the panic button if we can’t remember who closed it, or if it even was closed. We’ve even had a neighbors come over and tell us it was left open (I know slap on the wrist). 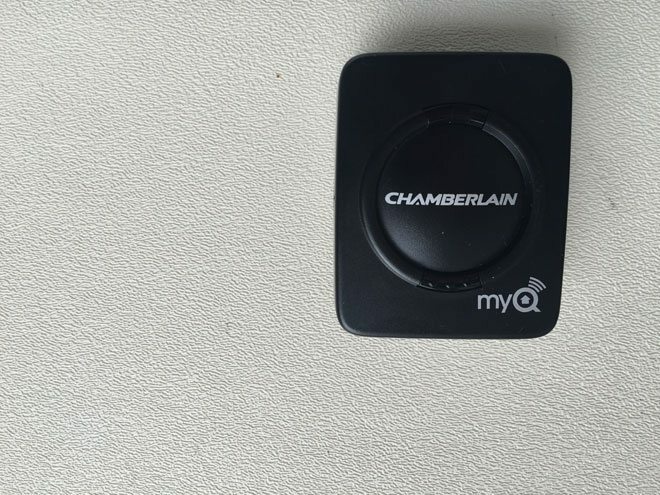 The Chamberlain MyQ Garage Smartphone Garage Door Controller has set our minds at ease. 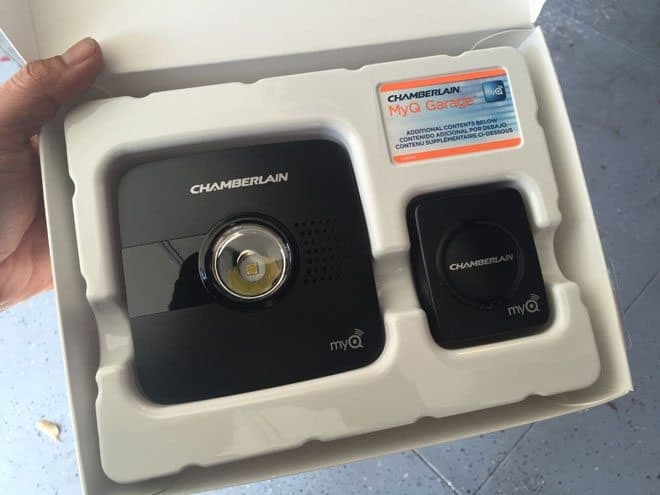 The MyQ Garage allows you to control and monitor your garage door from anywhere, at any time. 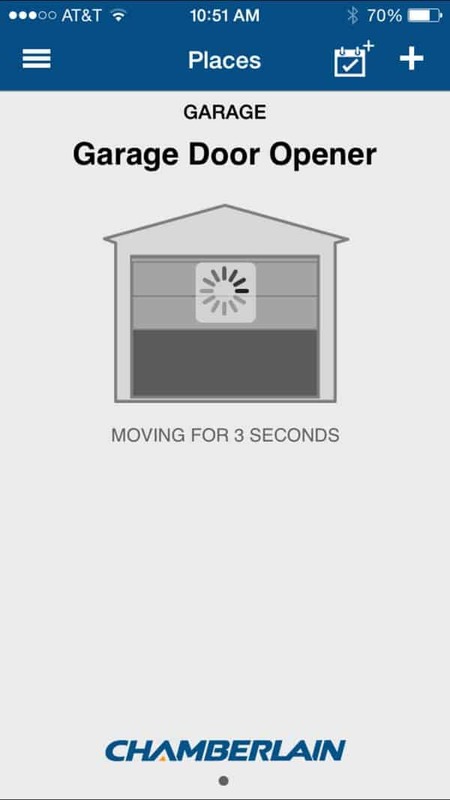 Regardless of manufacturer, the MyQ Garage works with the majority of garage door openers manufactured after 1993. 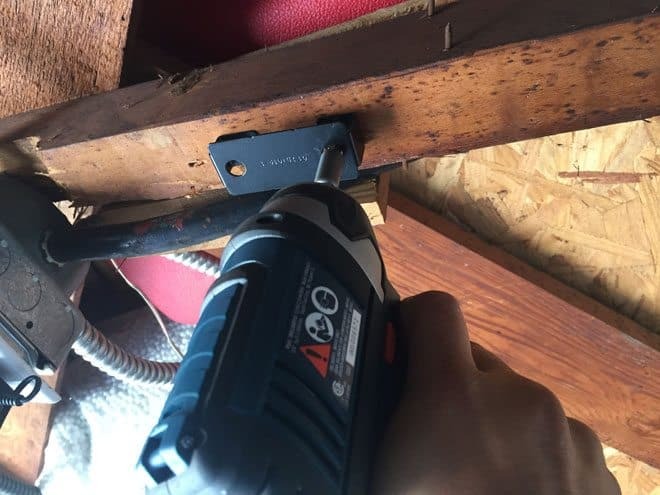 I’m not sure when our opener was built but it’s at least 10 years old and works flawlessly with the system. Install took about 15-20 minutes. 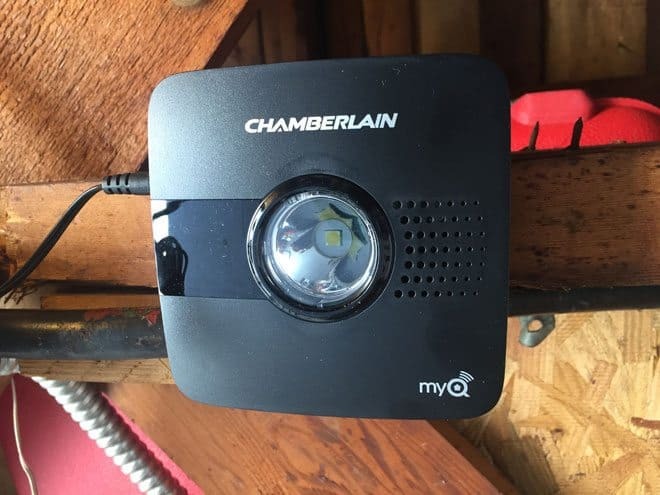 We hooked up the hub near the garage door opener, secured the MyQ device to the garage door, and then downloaded the app. It’s really that easy. I’ve used the app on a daily basis and it’s worked every time. There is a nice alarm feature when you close the door using the app so people know to get out of the way and they strongly recommend to only use on doors that have a safety reversing sensor that is located at the bottom of the door track. This prevents the door from closing if something is in the way.